There is no doubt that MXA is no fan of Youthstream’s Giuseppe Luongo (and he isn’t a fan of us). In our opinion he has ruined the nature of Grand Prix motocross. And with the help of his cronies at the FIM, Giuseppe has worked very diligently to build himself into a pseudo Bernie Ecclestone (the Formula 1 Czar). It seems obvious that both Eccelstone and Luongo are totally motivated by money and power, which breeds greed, which almost always leads to contempt for the drivers and riders who make the money for them. It is true that there are people who like what Luongo is doing to Grand Prix motocross, but normally they are somewhere on the receiving end of or under the thumb of Luongo’s organization. It is embarrassing to see motocross websites, so-called journalists and sellouts that are little more than mouthpieces for what is a self-serving empire. Worse yet, the major motorcycle manufacturers are contributors to the abuse of the riders--Honda, Yamaha, Suzuki, Kawasaki and KTM should speak up for the riders—not be happy to have a nice parking spot in the pits. 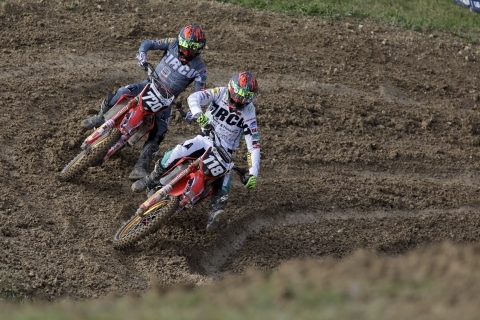 The factories could fix GP motocross by standing up for the rights of the riders and teams. What is happening to European riders who try to contest the GPs is a shame. Luongo is to blame, but he has a lot of accomplices. 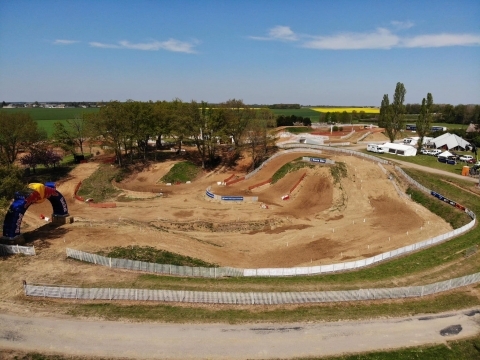 It is not MXA’s wheel house to try to fix European motocross, but it is hard for us to overlook a situation, that in our opinion, verges on slavery for the GP riders. Need examples? Marvin Musquin: Whether Musquin was a selfish, ungrateful rider who jumped from his little Honda team to KTM or he was an unpaid rider who was looking for justice, his troubles could have been resolved by Luongo. 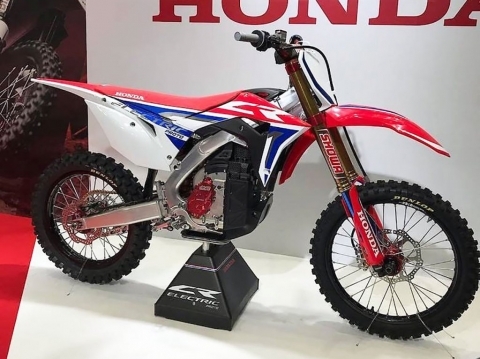 When the French judge order Musquin to return to NGS Honda for the Swedish Grand Prix, Luongo held to the rule that allows a team to only enter two bikes in any given GP. 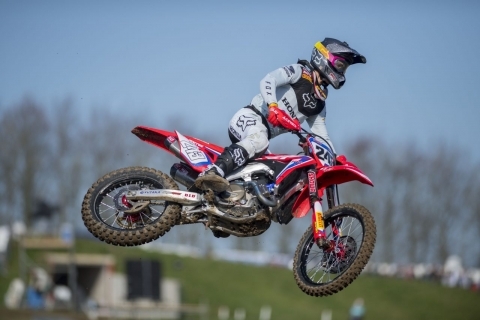 Since NGS Honda has already entered two riders, the FIM reportedly rejected Musquin’s attempt to return to NGS. In the end Musquin, the 250 World Championship points leader, wasn’t allowed to race. Yes, he could have paid the judge’s fine and gone back to KTM, but the fine (for one race) was more than Musquin has made this year. If this had happened in America, Musquin would have been allowed to race (and we know that the AMA sanctioning body would have made room for the points leader no matter what the rules say--American rules let a rider race no matter what brand he shows up on or how many riders his team has entered). Luongo shot down Musquin without taking any blame. Luongo could have made it right. The 23-year-old rule: Starting in 2010 any rider over the age of 23 will not be allowed to race the 250 World Championships. Okay, this might prove to be a good rule, but the real motivation behind the rule is suspicious. It appears as though Luongo is trying to pad the fields in the 450 (MX1) and 650 (MX3) classes--because those are the only classes that a 24-year-old rider could go to. In a weird twist of fate, Rui Goncalves, who is now within a handful of points of 250 points leader Marvin Musquin, will be 24 this year. Does that mean that he will not be allowed to race the 250 class (even if he becomes the 2009 FIM 250 World Champion)? Entry fee: It costs $200 to enter an AMA National (and the AMA accepts over 100 riders to try and fill the 80 spots for timed qualifying). In 2010 Luongo will only accept 26 riders (plus four wild card entries for each 450 World Championship race). And those 26 riders must pay approximately $20,000 to enter the GPs (about $1300 per race). If you think that is ridiculous, riders in the FIM Veteran races pay a $750 entry fee to race one of the rounds. By comparison, the World Veteran Championship in the USA requires no licenses, has an entry fee under $80 and allows anyone who shows up to race. And, it has been going on for over 20 years. Purse money: Luongo does not pay any purse money to the riders. If they win a GP, they get zero dollars, francs or yen (or even Euros). Nothing! Luongo claims that they get the honor of racing his races, which gives them a chance to get a ride with a team, so he doesn’t need to pay the riders. For comparison, an American rider pays $200 to enter a race, but the very last place rider at an AMA National gets a check for $410 at the end of the day. That may not be a lot of money, but it is double what he paid to enter the race. It should be noted that with the combination of purse, bonus and contingency, even a privateer would make a minimum of $28,000 for winning an AMA National. Getting a shot: Remember Juss Laansoo. Juss wanted to race in Europe, but because he didn’t have any money, he couldn’t get a start in MX1 or MX2. So, Juss loaded up and moved to the USA, where he would be allowed to race (and was named AMA Rookie of Year before he got hurt). What kind of system has Luongo developed, where qualified riders have to move to another continent to get a race because they aren’t willing, or are unable, to pay Giuseppe’s blood money? The fastest and best riders should be encouraged to race. American exodus: Not every GP rider can load up and move to America. Laansoo did it on a shoestring (with the help of Jimmy Holley), but most young European riders can’t come and race in the USA--nor should they be expected to. But, Luongo has produced a feeder series for the U.S. Nationals. Once they get good enough, like Searle, Rattray and Pourcel, they leave the World Championships. This does not apply to the older GP riders because no American team wants an established MX1 or MX3 GP rider who can’t adapt to Supercross. Factory riders: Yes Honda, Yamaha, Suzuki, Kawasaki and KTM pay their riders to race the GPs, but they don’t pay them half as much as an American factory team. Stewart makes $10,000,000 a year, Reed makes $6,000,000 and anyone with a factory ride is collecting anywhere from $300,000 to $750,000 to race in the USA. American factory riders get a $100,000 bonus for each race they win and they are racing for a one million dollar bonus to win a Championship. Do they need purse money? No, but why should they be giving money that they deserve for the work they do to the promoter? The riders must be paid their fair share—for not only entertaining the crowd of spectators, but for attracting them. Luongo likes to point to his hospitality tents as signs of health, but those are signs of his financial health—not the health of GP racing." Ca va faire boum, dommage que cela vienne d'outre-Atlantique... mais c'est une bonne chose. La "guerre" contre Youthstream est-elle lancée ? A coup sûr la presse européenne va en faire l'écho. 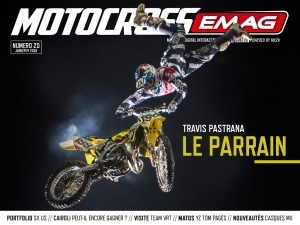 Reste plus au Dirt de nous "pondre" un bel édito dans le prochain MX mag. Quelque part ça fait plaisir de lire cela et de s'apercevoir que le GL ne berne pas tout le monde. Toutefois je suis septique sur les retombées que celà peut avoir. Gare aux journalistes qui feraient echo à cet article : il risqueraient d'avoir quelques problèmes pour obtenir leurs accréditations sur les GP. Remember PH qui avait eu le malheur de déplaire à GL via KTM et s'était vu débarqué vite fait de la structure YS. De plus YS dispose de sa propre structure de presse. Je suis définitivement persuadé que seule la FIM peut faire quelque chose mais à mon avis il y a une telle collusion et probablement des enveloppes que c'est illusoire d'y croire à court terme. Seuls les constructeurs dans une période faste auraient pu rééquilibrer la balance en faveur du sport, des teams et des pilotes. Seulement avec la crise, je pense qu'ils ont d'autres priorités pour l'instant. En conclusion,et malheureusement, je crois que le système GL a encore de belles années devant lui. Aura-t-il les mains "libres" pour le faire ??? Totaly d'accord avec toi MXA, trop d'intérêts, de par sa position professionnelle, à défendre... et à ne pas négliger aussi, celle d'organisateur. Attendre et voir. Ah non, je ne peux pas le croire, sinon il trahirait les valeurs qu'il défend, celles de quelqu'un de libre. L'esprit de la CCA en prendrait un sérieux coup derrière la tête. On peut ou pas être d'accord avec ses avis mais l'important n'est il pas de la dire en toute liberté et sans démagogie? "Il vaut mieux mourir avec ses idées que de vivre avec celles des autres"
C'est pas : On meurt avec nos idées après avoir vécu dans celle des autres ?